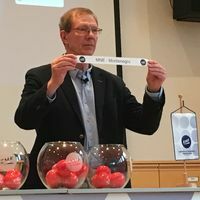 26 teams are vying for nine open spots at the Women's U20 World Championship in Hungary and they all got to know their respective opponents as the qualification draw took place at the EHF Office in Vienna on Tuesday. France, Russia and Denmark – the teams ranked 1 to 3 at the Women’s 19 EHF EURO 2017 – and Hungary as organisers of the final tournament are already qualified which brings the total number of European participants at the 24-nation event to 13. In the qualification the first two teams will qualify from groups 1 and 2. From groups 3 to 7, only the respective first ranked team earns a spot at the World Championship. Greece and Slovakia already hosted a qualification tournament of the Women's 19 EHF EURO 2017 and are therefore not eligible to organise the tournament again. The right to organise will therefore goes to Serbia in Group 5 and Switzerland in Group 7. The Women’s U20 World Championship in Hungary is scheduled from 1 to 15 July 2018.